Brukkon becomes the second software to be included into Ubuntu Software Center section for paid softwares. Ubuntu Software Center is the application that got maximum attention perhaps during last two release cycles and things are getting better everyday. Brukkon is a puzzle game for iPad, Linux, MacOS X and Windows, where you have to guide a little robot to a cogwheel by moving platforms. The game concept is inspired by the classic sokoban but quite different from the original concept. Watch this preview. There is a demo version of the game available for download for free. Download Brukkon Puzzle Game Demo. 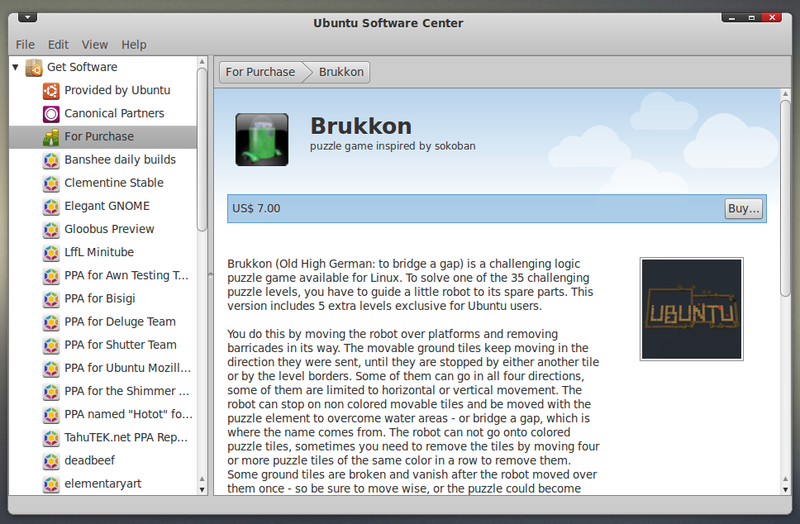 And if you liked it already, you can buy it from Ubuntu Software Center.